Most excellent - that smile on your daughter's face is worth a million bucks (or does)! Details?? Range, load data, … ??? Load: 95 Pulled Fusion, 450 primer, 26.5 TAC, COAL 2.275. Complete pass-thru (you can see the entrance in the photo) hobbled about 20 yards and dropped. The bullet entered just behind the shoulder, vaporized both lungs, and exited mid-body on the off side. That's awesome, congrats to both of you! Great success story congrats to both of you!! Fantastic! Big smile from her and I'll bet from the guy behind the camera. The first one is always the most special one. Gun control is like trying to eliminate drunk driving by making it illegal for sober people to own cars. Most excellent .. on both accounts. Congratulations to both of you!!! 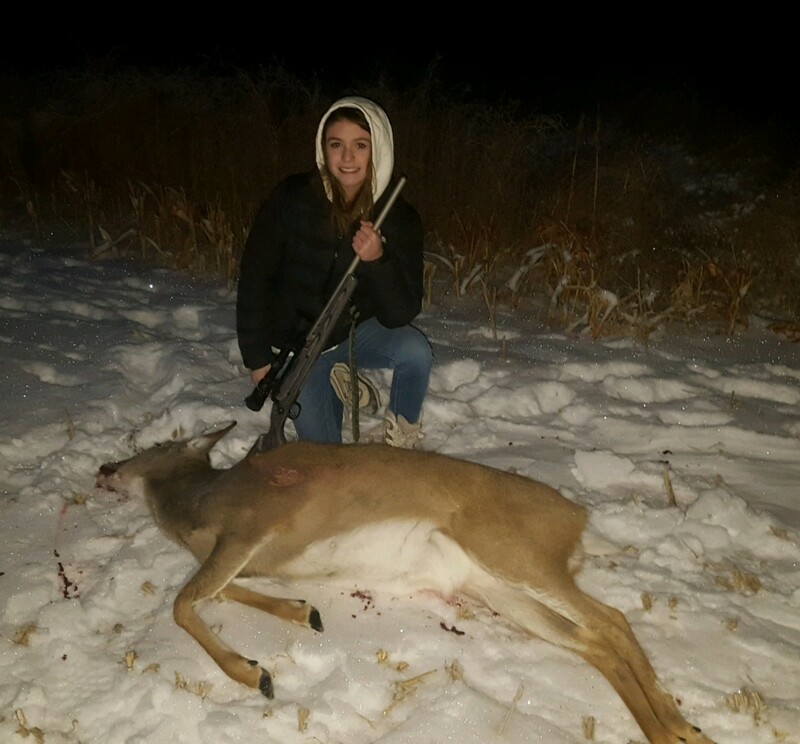 I always enjoy seeing the young people, especially the young ladies out shooting and hunting. Very nice. Congratulations to both of you.